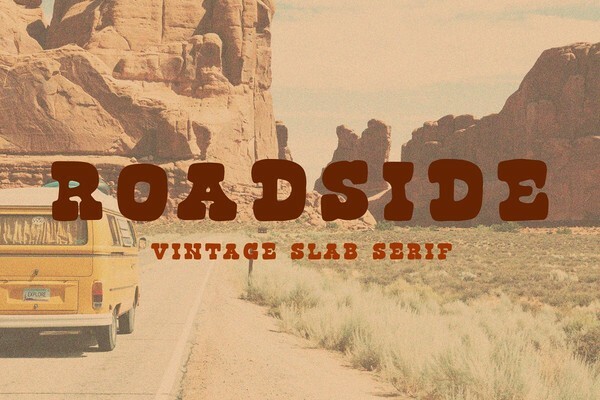 Roadside Vintage Slab Serif Font is a beautiful and nostalgic vintage font whose style was born in the time of free love and van adventures. With roots in surf culture and music festivals, Roadside is a complementary font to a variety of designs. This items is Free File of the week! And available free until March 25, 2019! Just login to your Creative Market Account and download.